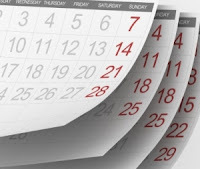 Home » wait » Unhappy with Your Appointment Day/Time with your Doctor? Unhappy with Your Appointment Day/Time with your Doctor? A common complaint for patients is how long it may take to get in to see a medical specialist. A new patient appointment may be 1-2 weeks away when an earlier appointment may be desired. Of course, one can call around to every single specialist office in the region to see who has the next earliest appointment. • Do NOT limit yourself to a specific day of the week and time. Always use the phrase "the very next available appointment whenever that may be." • Ask your regular doctor to call and make an appointment for you. Be aware that if you resort to this option, you will have to accept whatever day/time you are given. Do not use this option if you will most likely end up changing the appointment to suit your schedule, otherwise risk being given an appointment far into the future. • Although in theory, there are appointment wait lists you can put yourself into, it only works if the medical office checks it regularly... which typically does not happen. What works better is to call everyday! On a daily basis, there are ALWAYS cancellations that occur. In my office daily, there are usually 1-2 new patient appointment cancellations and double that in established patient appointment cancellations. Such cancellations usually are called in by 10AM for that afternoon or 4PM for next day cancellations. So call around that time to see if any appointment slots have opened up that you can slip into. This is why medical offices beg patients to always call if you are not going to show up and even charge a fee if you fail to inform in advance. It is to help other patients who desperately want to be seen and who could have been scheduled into your appointment slot that ended up being wasted. • Tuesday is the most popular day for doctor appointments; it's also the day with the most last-minute openings. • The most popular appointment of the week is Friday at 10AM, followed closely by Friday at 2PM. • Thursday has the longest wait time.